Global Connections seeks out some of the best and brightest in the entertainment industry to provide more to experience on a theme cruise. These are a sampling of our favorites, most are scheduled to be on board a Global Connections cruise or recently sailed with us. 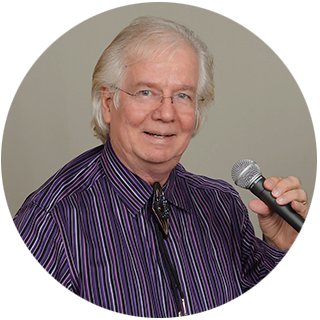 Classically trained, Peter Alden possesses a five octave range and also has perfect pitch. He has performed lead roles in "Carousel", "The Fantasticks", "A Comedy Of Errors" and "The Diviners". In the production of "Bye, Bye Birdie", that Peter zeroed in on Elvis. The director put together a small rockabilly band to add some realism to the character's songs. Peter and the band stayed together and began playing rockabilly and Elvis songs at fraternity parties, and an Elvis tribute artist was born. Peter has gone on to perform at Disney World and Universal Studios in Florida; Libertyland and House of Blues in Tennessee; and in the "Legends in Concert" shows in Branson, MO; Myrtle Beach, SC; Pittsburgh, PA and Dallas, TX. 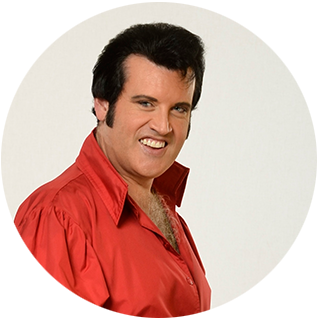 He went on to create an original show that featured him as Elvis and a friend as Roy Orbison called "Elvis & Roy: The Lost Concert" that ran in Nashville, TN for six months. Peter has performed his tribute show across other parts of the world including Wales, Beijing, Singapore, Vancouver, and Puerto Rico. Recently he perfected a tribute to another one of his influences, Ricky Nelson! His new show focuses on the entire musical library of Rick Nelson, from the 50's through the 80's. Bill Connors has perfected the art of portraying Elton John over 15 years and more than 3,000 performances as a professional vocalist/pianist. Every mannerism, voice inflection and nuance has been carefully studied and recreated. 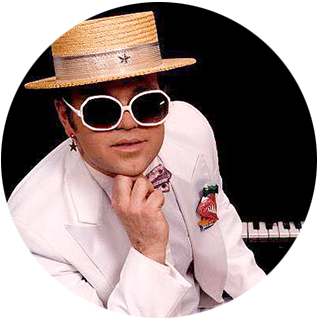 Bill also has what can't be learned by impersonators: an uncanny resemblance to Captain Fantastic, portraying Elton in sports arenas, top venues and concert halls across the country. In 2003, Bill's show at the world famous Jake Ivory's won the club The Improper Bostonian's "Best of Boston" award, and the club he runs currently in Connecticut just won the award for best piano bar. The costumes, the color, the fabulous showmanship, time tested hit songs—it's all captured by Bill, making this the perfect show for any event. Frankie was a nightclub singer in the late 60s and early 70s whose signature song was "This Magic Moment." He also recorded "Smoke Gets In Your Eyes" and "She Cried" during that time. He toured the United States and Canada and was showcased in Las Vegas. Frankie was an extra in the movies "Ice Castles" and "Every Which Way But Loose." Frankie had the opportunity of singing in front of 35,000 enthusiastic Amway folk, where on the same ticket were late president Ronald Reagan and country singer Crystal Gale. He also sang for the inauguration of the former mayor of San Diego as well as for former California governor Pete Wilson’s 60th birthday part at Sea World in San Diego, California. The Byrds, the Platters and the Boxtops are 60s groups with whom Frankie has shared the spotlight. You can learn more about Frankie Valens on our blog. Mark & Mary Harris each began dancing about 20 years. They met at a dance 12 years ago and have been together ever since. Mark has a vast background in dance and has been featured in several news stories. He has been a judging coordinator, and a former state director for the National Teachers Association. He and Mary have been event directors for several national dance competition events. Mark is a U.S. Open Swing Dance Championships award winner; an eight-time state champion; and placed second in the nation two consecutive years on the Masters Tour (Masters National Swing Dance Championships). He and Mary placed third in the nation on the Masters Tour in 2006. 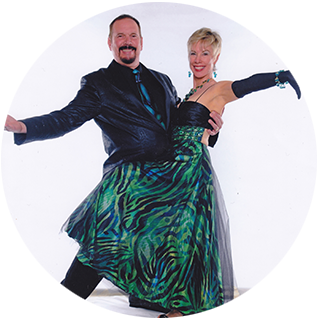 Both Mark and Mary enjoy dancing with students in pro-am ballroom, country and swing competitions. Mary has taken top teacher at several West Coast swing dance events. They enjoy working with students at all skill levels. They are owners of the well-known dance studio, Walters Dance Center, in Kansas City, KS. Cleo Heart is an accomplished vocalist with a rich range of musical styles focusing on Jazz, Neo soul augmented with blues. What you see is what you get with Cleo! She has the power to move and make people feel like family with her pizzazz and vocal precision. Her charismatic personality and vocals sets her apart from any other entertainer. When performing, she takes her audience on a journey into her spirit and soul. 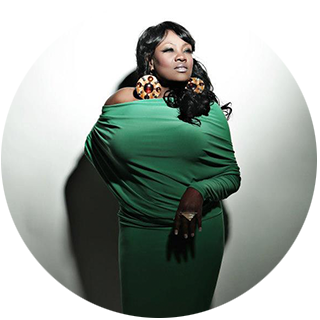 She has opened for musicians Kem, Nancy Wilson, Regina Belle, Jeffrey Osbourne, Sinbad to name a few. Cleo dazzles with songs like "Louisiana Sunday Afternoon", "Street Life," and Marvin Gaye's classic, "What's Going On." She delves into the dynamics of personal relationships with thoughtful songs like "Forgiveness" and she can get the party started with her club mix for "Move". Yet Cleo is as peaceful as a sailboat on a calm sea when singing her rendition of "Sailing," a cover of Christopher Cross. For Cleo, navigating waves on the sea is analogous to riding the grooves of a song, too. And make no mistake about it, as her name implies, Cleo Heart always puts her heart into every single one of those grooves. Rusty got into music when he was 14 years old singing in church and soon it became a passion. He learned guitar when his father suggested that they take lessons together. In 2005, Rierson won the state wide "YF&R talent find contest" hosted by Farm Bureau and performed at the Kansas State fair where he is annually invited back. In 2007 Rusty won the "Colgate Country Showdown" at the state level and placed in the top 15 nationally. He competed again at state in 2008, 2010, 2011. Rusty has played all over the state of Kansas, in Missouri, Minnesota, Wisconsin, Texas, Tennessee, Mississippi, New Mexico, Oklahoma, Iowa, Nebraska, California, Colorado, Arkansas, and in Las Vegas. Rusty has also played in Mexico, Central America and Anchorage, Alaska. He often travels with the "Better Horses Radio Show" and has played rodeos, barrel races, and horse events all over the Midwest, including at the National Finals Rodeo in Las Vegas in 2009. Rusty has opened for and shared the stage with legends such as Sawyer Brown, John Berry, Doug Stone, Michael Martin Murphy, 60's pop star Frankie Valens, R.W. Hampton, Bill Gentry, Justin McBride, and others. 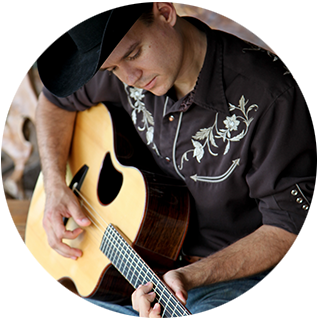 Rierson always plays tribute to Johnny Cash, George Strait, and some of his other heroes, as well as his own music. You can find singles like "Souvenirs" on YouTube, CMT Pure, and on DVD. The album is available at all Rusty's shows and through this website.